There’s NO way Mom’s are allowed to get sick. Ever. Right? It’s just the way it is. Imagine my surprise when I got a bad case of bronchitis and NO ONE DIED while I was down and out and somehow the house stood up to the onslaught and so did the family! 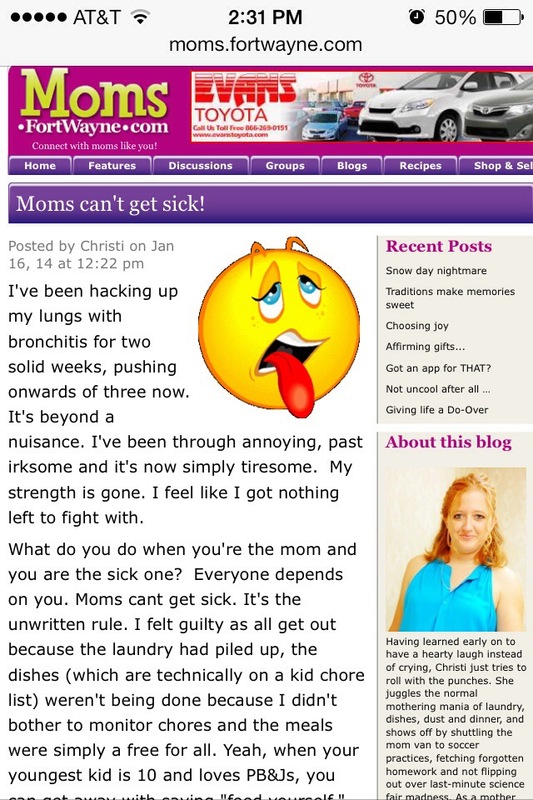 Join me over at the MOM’s blog for a funny look at the realities of being a parent and battling illnesses. Reality is ever changing when you’re a parent!